Lebanon's state news agency says the country has received a trio of ancient artifacts looted from the country during its civil war and recovered recently by New York authorities. The treasures arriving Friday include a marble bull's head dating to about 360 B.C. excavated at a Phoenician temple in south Lebanon decades ago. It was discovered by an eagle-eyed curator at New York's Metropolitan Museum of Art last year, where it had been on loan from a collector. The other two are marble torsos from the 4th and 6th century B.C. Scores of antiquities were looted from Lebanon during its 1975-1990 Civil War. The Manhattan district attorney's office formed an antiquities trafficking unit last year to repatriate stolen artifacts. The National Museum in Beirut will display the artifacts in February. Located on the east coast of the Mediterranean, Lebanon was an important part of the classical world, home to the Phoenician civilization and part of the Persian and Roman empires. It has several major ancient sites. During the civil war, curators at its National Museum, which was located on a deadly front line, protected treasures that were not looted by sealing them up in the basement or encasing them in cement. 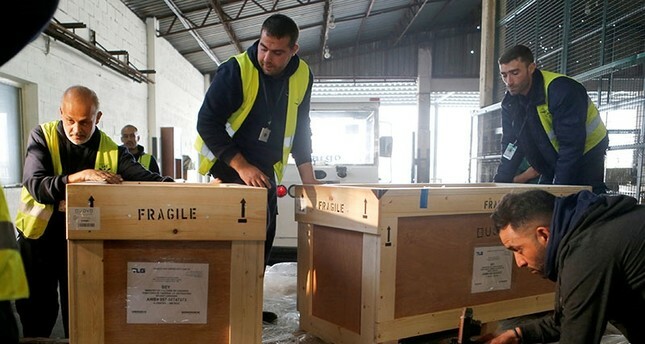 Others were located in other sites around Lebanon, including to Byblos, an ancient port town north of Beirut, where the three items returned on Friday were stolen.